Among other anti-vaccine myths and conspiracy theories, one that is popular is that the chickenpox vaccine is responsible for a surge in shingles cases. Perhaps because there are fewer children with chickenpox to boost our immunity to the chickenpox virus, thereby increasing the risk for reactivation and the development of shingles. This is still one of the reasons that some countries don't have a routine chicken pox vaccine program for their kids. It has shown to not be true though. As a reminder, if you get a natural chickenpox infection, the chickenpox (varicella zoster) virus then remains in your body in an inactive or dormant state. At some point, it can then reactivate, becoming shingles. That is why a person who isn't immune can develop chickenpox if they are exposed to someone with shingles. Of course, you can't catch shingles. You can get shingles if you have been vaccinated with the chickenpox vaccine, even if you have never had a natural chickenpox infection though. That's because the chicken pox vaccine is a live virus vaccine. 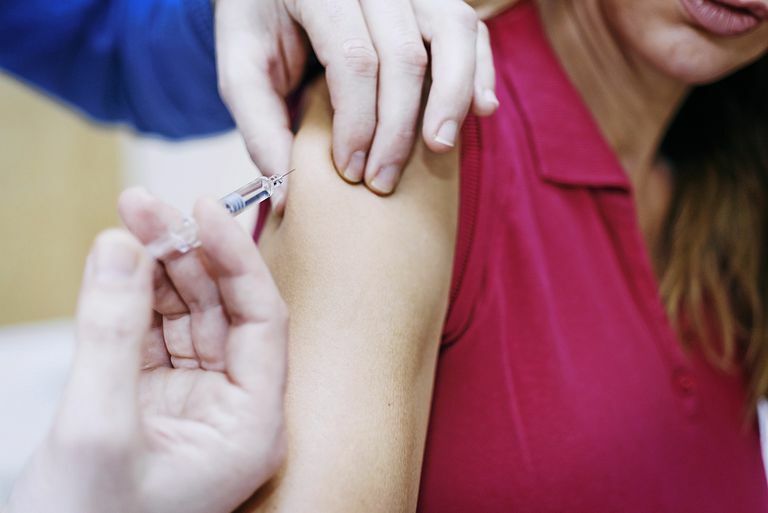 Your risk of getting shingles following the vaccine vs. having a natural infection is thought to be lower, however, another benefit of getting vaccinated. So, in addition to protecting kids against chickenpox, it appears that the chickenpox vaccine actually lowers their risk of later developing shingles. What Is Causing the Shingles Epidemic? While there has been a rise in cases of shingles, despite what you will read on most anti-vax websites, it is not because of the chickenpox vaccine (Varivax). So whatever the reason for the trend in rising shingles cases in adults, it isn't because more kids are protected from chickenpox now. The chickenpox vaccine is not causing a surge or epidemic of shingles. In fact, in addition to reducing your children's risk of developing chickenpox, it can likely reduce their risk of developing shingles later in life. Hales, Craig M. Examination of Links Between Herpes Zoster Incidence and Childhood Varicella Vaccination. Ann Intern Med. 2013;159(11):739-745. Leung J. Herpes zoster incidence among insured persons in the United States, 1993-2006: evaluation of the impact of varicella vaccination. Clinical Infectious Diseases. 2011;52(3):332-340. Russell ML. Shingles in Alberta: before and after publicly funded varicella vaccination. Vaccine. Volume 32, Issue 47, 29 October 2014, Pages 6319–6324. Weinmann S. Incidence and clinical characteristics of herpes zoster among children in the varicella vaccine era, 2005–2009. Journal of Infection Diseases. 2013;208(11):1859-68.